Midway Golf & Games is the perfect spot for corporate events, family reunions, tournaments, and other outdoor occasions! Centered among all our attractions, the lawn is the perfect place for an event tent and it can accommodate groups of all sizes. 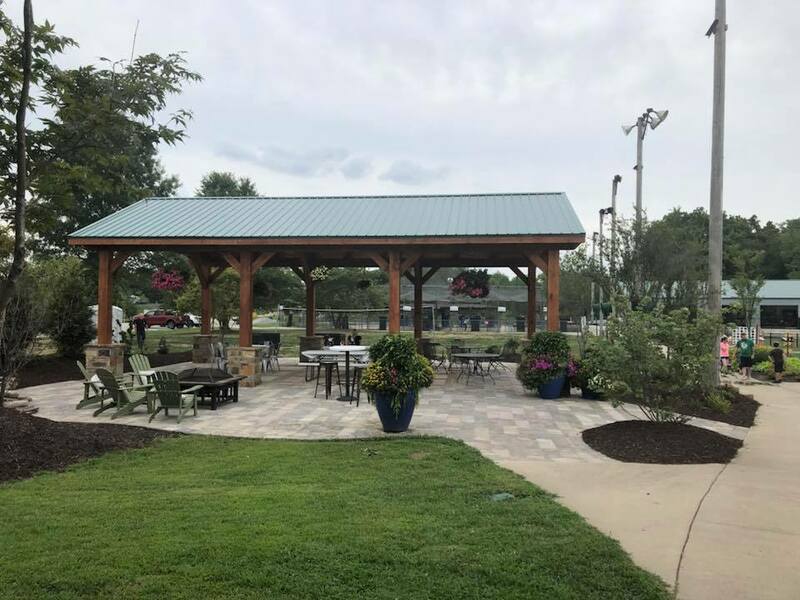 We also have an open pavilion available and yard games galore! Anything you need to make your event a success, we have you covered. Talk to us about event, catering, tent, and seating options available! At the time of booking, you may select a rain date in order to avoid fees if weather becomes an issue. All food must come from one of our preferred caterers and all beverages must be purchased through Midway Golf & Games. Please contact us with any questions. Our pavilion can accommodate about 40 people, and we have only have seating available for 120. If your event exceeds the amound of seating available, please consider tent and table & chair rental. Our event coordinator can arrange whatever you need with our rental company. Fill out the form below to request more information on events or see our pages for additional details on large events, birthday party packages, and group pricing. Tentative Date & Time- Cannot guarantee availability.